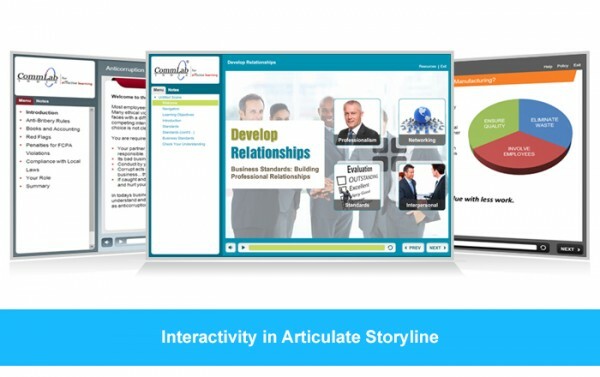 Drag and drop interactivities are widely used in the world of eLearning to create interactive assessments. These interactivities require learners to drag the items provided to them and drop them into correct options.We had a requirement in which the draggable items dropped into wrong options need to be brought back to the position, where they were prior to being dragged. We developed the course using Articulate Storyline and there is no option in this tool to bring back the dragged items once they are dropped. So, we had to customize the software. 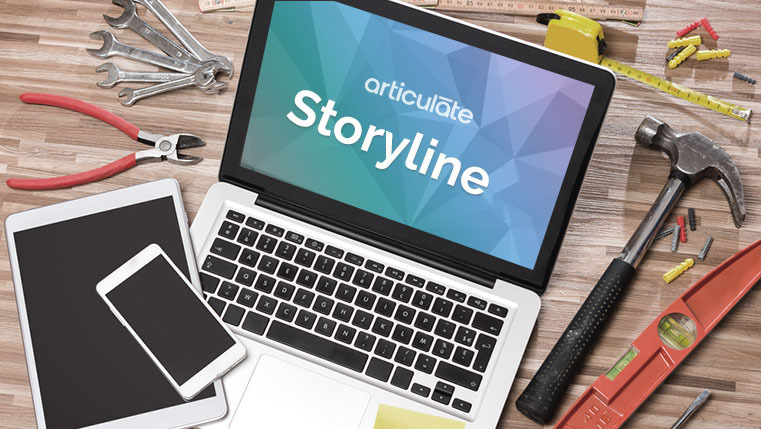 Let’s see how we customized the drag and drop functionality of Storyline to meet the requirement. 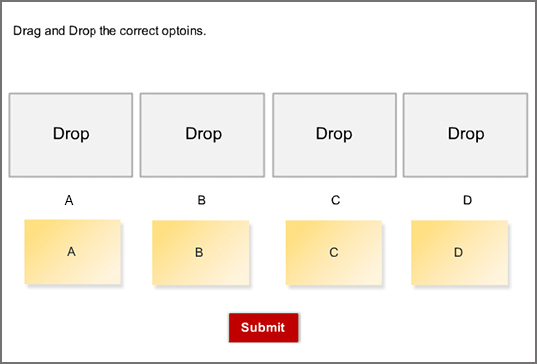 To bring back only incorrectly dropped draggable items back to their original positions, when user clicks “try again” button, follow the below steps. 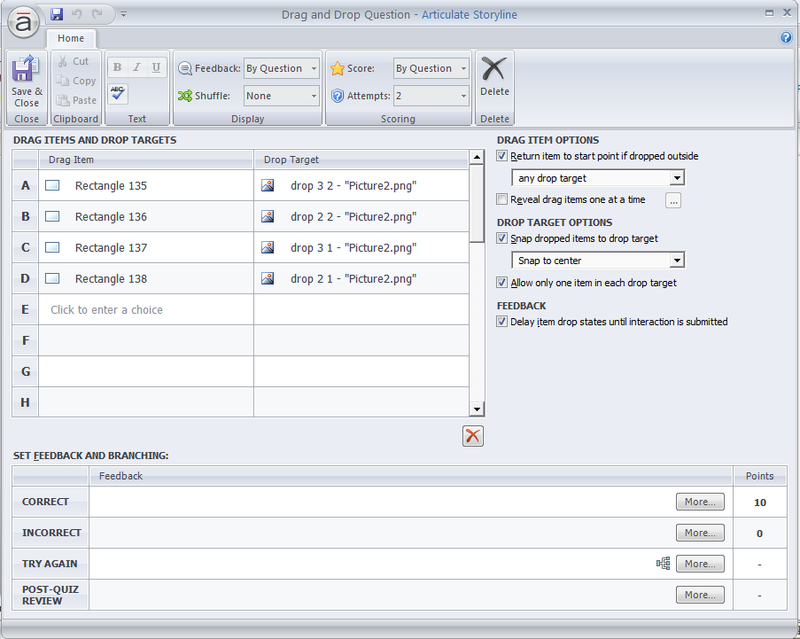 First create the customized drag and drop question with number of attempts more than 1. And assign the Drag items to correct Drop target. “Save and Close” above window and give the triggers like below to each Draggable Item. Draggable Item1: First create one variable for each Draggable item. Create variable 48correc1 for draggable Item1, 48correc2 for draggable Item2, 48correc3 for draggable Item3 and 48correc4 for draggable Item4. 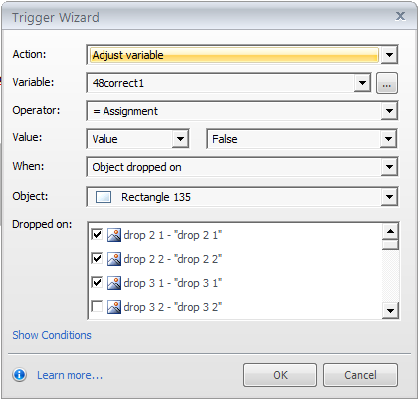 Trigger 1: Create a trigger for adjusting the variable 48correc1 to true if the draggable Item1 dropped on correct drop target. 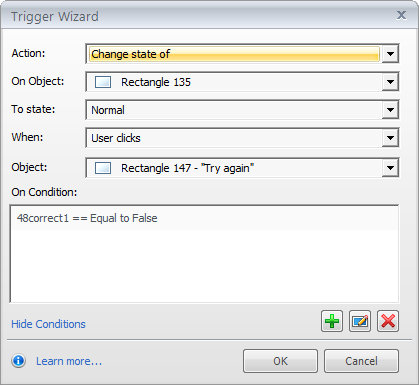 Trigger 2: And again adjust the 48correc1 variable to false if draggable Item1 dropped on wrong Drop targets. Trigger 3: Go to “Try Again” layer and add trigger for change state of draggable Item 1 to hidden if 48correc1 is false when user clicks “Try Again” button. Then apply the above 4 triggers to the remaining draggable items i.e. Item 2, Item 3 and Item 4. 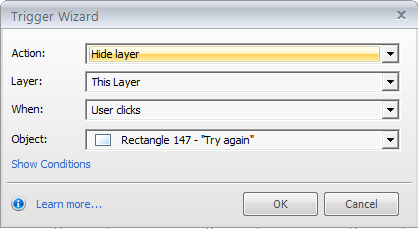 After this add one more trigger to hide Try Again layer when user clicks “Try Again” button. This trigger is to be placed after all the above triggers. Then publish your course and check the output. Then attempt the Drag and Drop question If learner wrongly answered there is Try Again option. If leaner click Try Again only wrongly placed Drag able items will return back to the normal positions. The correctly placed drag able items will remain where they are dropped. 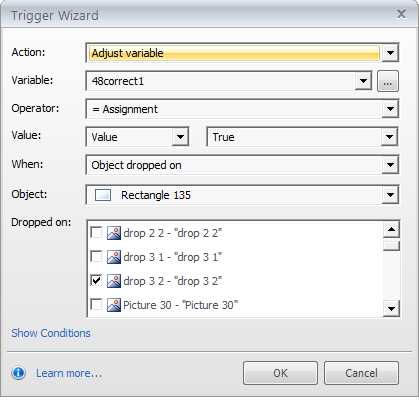 In this way you can Bring back Incorrect Drag and Drop to Try Again in Articulate Storyline.